Commemorate and celebrate the life of your best doggie friend. 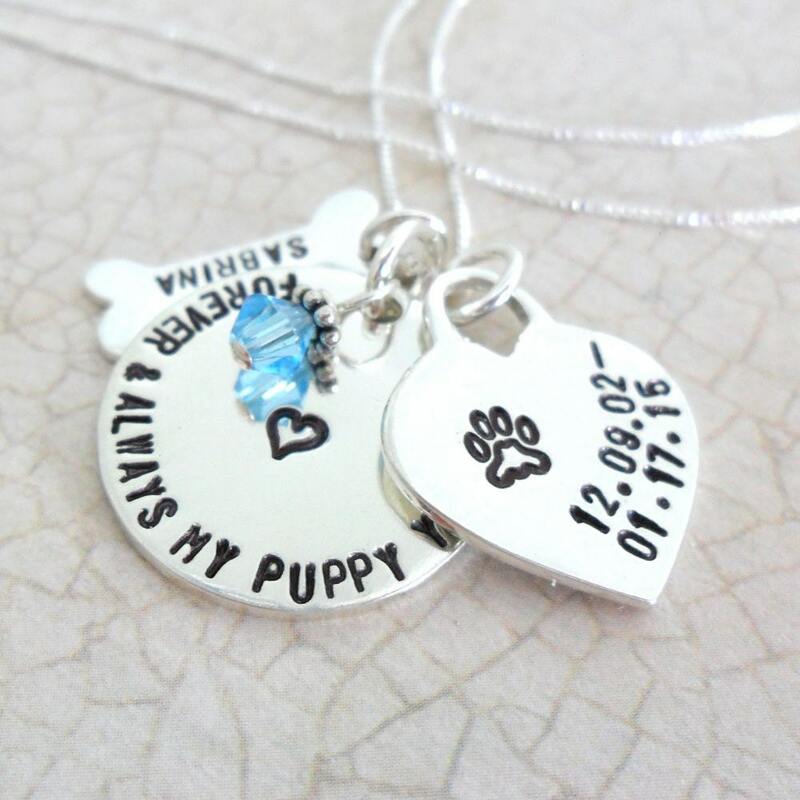 A truly special way to keep your pet love close to your heart. This necklace is composed of a thick, 18 gauge, 3/4" sterling silver disc, sterling silver dog bone charm, sterling silver tiffany-style heart charm & Swarovski crystal birthstone with Bali bead topper. Charms will arrive with your choice of a 16", 18" or 20" sterling silver box chain. Disc will be hand stamped with the text of your choice. One popular sentiment is "Forever in my heart" with life dates and is accented by a small heart in the center of the disc. 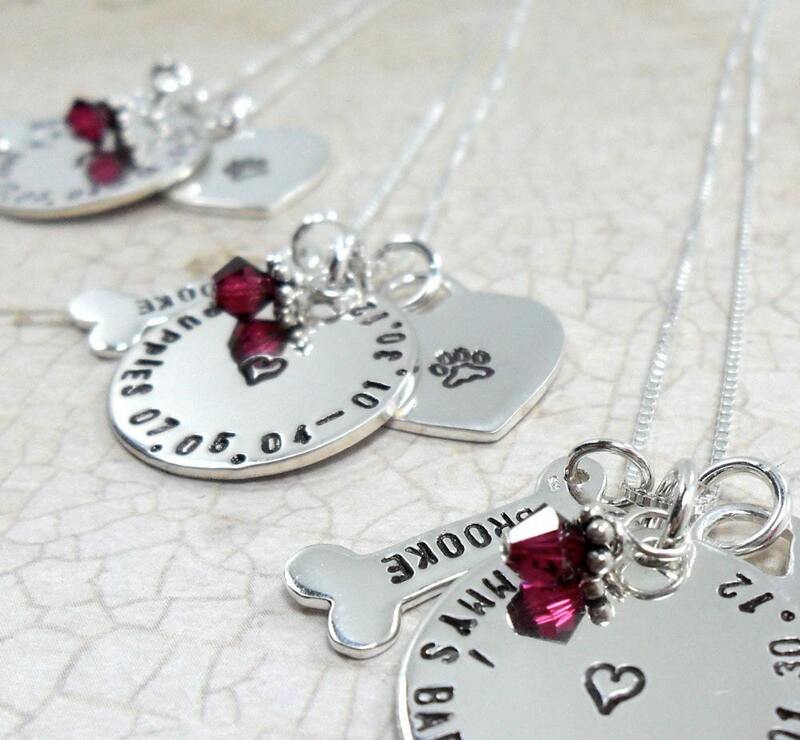 Bone will be stamped in my Tiny font with the name of your choice & the heart charm will be stamped with a paw print. Have an idea of your own? 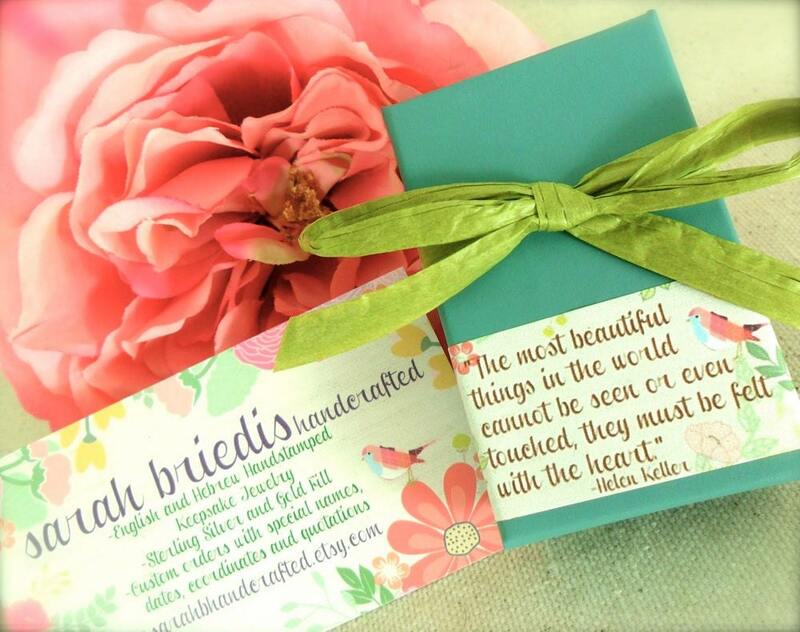 Contact me and we'll come up with the perfect custom item for you!